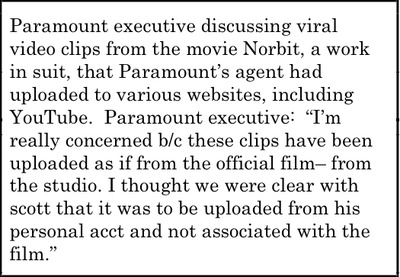 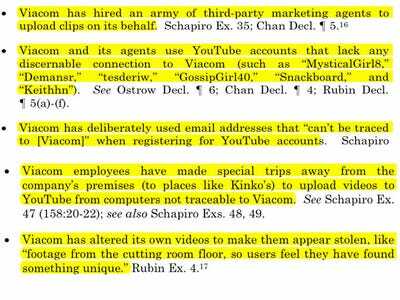 Viacom’s $1 billion lawsuit accuses YouTube execs of building the site on the back of illegal content.But Google — YouTube’s owner since 2006 — says it has plenty of evidence to show that some of that “illegal content” was uploaded by Viacom itself. 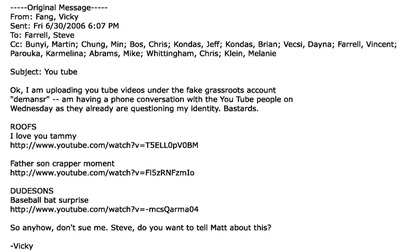 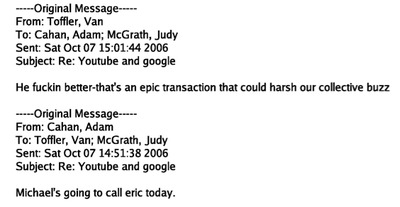 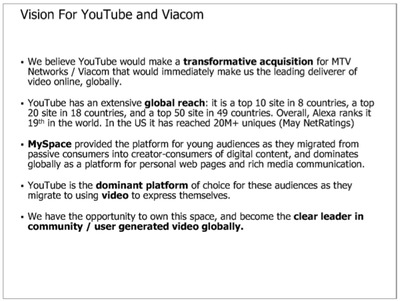 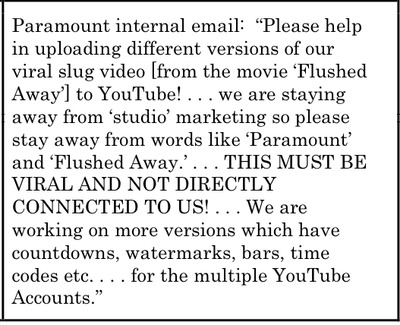 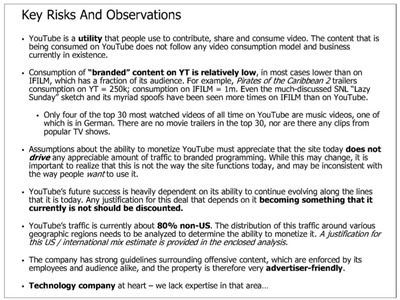 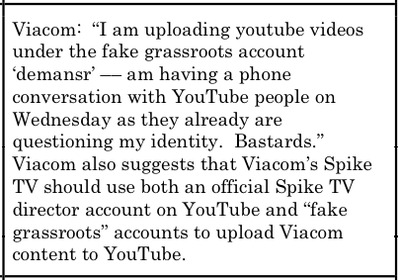 Google also says it has proof Viacom wanted to buy YouTube. 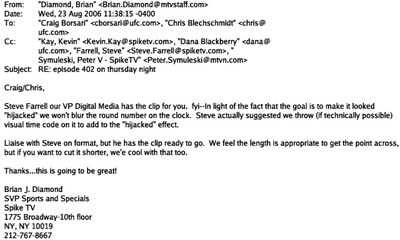 MTV execs freaking out because they are turning into a slow moving corporation and they can't just buy up companies.